The Scoop: Hunt Ethridge moved to New York City over two decades ago with dreams of becoming a professional actor, but he soon found his calling as a professional dating and relationship coach. His instinct for building relationships helped him give constructive advice to singles, and he soon began networking with other professionals in the industry so he could learn from their techniques and share his own expertise. Today, Hunt is known as one of the top male dating experts in the industry. His coaching business, Hunt for Advice, has empowered individuals to develop their conversational skills and build self-esteem in many areas of life. In the coming years, Hunt plans to use his professional connections to bring more transparency and accountability to the dating industry. When Hunt Ethridge started dating coaching over 10 years ago, online dating was still taboo among singles. So he focused on showing his clients how to send winks in person and attract someone with charisma, confidence, and conversation. He separated himself from the pickup artists in the dating scene by specializing in daytime dating in public places. He taught his clients how to build relationships rather than seduce strangers. Over the years, Hunt has seen the dating industry change drastically. When he started out, his clients rarely came through referrals because singles didn’t want their friends and family to know they’d hired a dating coach. Nowadays, that stigma has diminished. Hunt Ethridge’s goal is to help people become the best possible versions of themselves. Hunt has expanded his reach as a trusted dating and relationship expert by starting dynamic coaching businesses and working in partnership with many professionals in the industry. He has grown his coaching business by word of mouth and has been featured on CNN, ABC, NBC, FOX, The New York Times, and Vanity Fair. While other dating coaches focus on explaining dating tactics and strategies, Hunt pays more attention to personal growth and confidence-building exercises. He said his mission isn’t just for his clients to get a date but to become a better man or woman in the process of getting a date. Hunt takes on both male and female clients, though their dating styles and issues often vary widely. The dating coach said the men who enroll in his coaching programs tend to be in their late 20s or early 30s. They’ve realized they need help getting faster results in the modern dating scene and hope to learn those skills as quickly as possible. The women who seek out Hunt’s advice are generally in their late 30s and early 40s. These single women often have successful careers and feel frustrated by the culture of swiping and disposable dates. His pragmatic guidance appeals to them because they want to understand dating from a male’s point of view. As his coaching business — cleverly named Hunt for Advice — continues to grow, Hunt has begun expanding his repertoire and offering services geared toward business relationships as well as romantic relationships. In doing so, he has recognized the importance of human interactions in all areas of life. Hunt has pioneered what he calls human coaching — teaching clients to become leaders in their personal and professional lives. Some of his clients are CEOs of billion-dollar corporations, but they lack self-confidence or don’t know how to read people. That’s where Hunt can help. He shows his clients how to engage with people on a personal level and develop good relationships with potential business partners. While Hunt said he enjoys his one-on-one coaching business, he also has an interest in scaling up beyond individual work. He only has so many hours in the day he can work with people, so he’s interested in finding new ways to maximize his impact on singles everywhere. Hunt’s emphasis on self-improvement doesn’t just apply to his clients — he is always taking courses and getting his certification in areas related to his business. 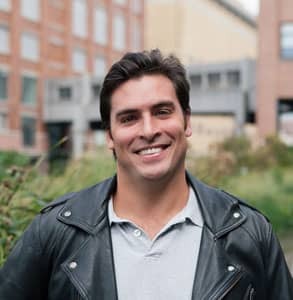 He told us he reads informational books about everything from anthropology to cognitive behavior in an effort to stay in the know and offer his clients a well-rounded look at the dating landscape. Collaboration is the focal point of Hunt’s business plan. He has connected with countless dating professionals, built relationships in the industry, and thereby expanded his influence on a global scale. His reputation has reaped the benefits of his efforts. In 2016, the US Dating Awards named him the Best Male Dating Coach in the country. Hunt told us his reputation often precedes him when he meets someone in the dating industry with whom he hasn’t worked yet. He has worked with so many coaching and matchmaking firms over the years that word has spread about his affable nature and authoritative advice. Hunt is always working to establish and grow working partnerships with other companies and firms because that’s how he builds trust and attracts clients in the industry. Four matchmaking firms currently have Hunt on retainer as a dating coach or recruiter. He regularly lends his expertise to Agape Match, Intersections, Matchmakers in the City, and Ambiance. RelationshipHero.com, a professional dating coaching service, recently tapped Hunt to use his coaching experience to help singles flex their social muscles and find love in real life. Hunt said his plans for the future involve a global expansion starting in Australia and New Zealand. He wants to work with experts in these two countries because he has heard that the online dating, dating coaching, and matchmaking industries have a lot of potential for growth. While Hunt works on various side projects and collaborations, one passion project remains on his mind. He told us his ultimate goal is to create a Love Board™ that oversees the dating industry and establishes higher standards for dating coaches, relationship gurus, and matchmakers everywhere. Hunt is troubled by the lack of oversight in the dating industry and said a little transparency could be beneficial to those professionals who are doing everything right. As Hunt envisions it, the Love Board would hold individual business owners accountable for their behaviors and make it easier for customers to identify the trustworthy professionals from the amateurs who want to play dating expert. This oversight would give a sense of credibility to those who have been working in the dating industry for years. Hunt said his goal is to reach as many people as he can and help them become the best possible versions of themselves. He understands how challenging dating can be, and he has spent his career providing useful, trustworthy, and transparent resources to get them on the right track. Hunt has become an internationally renowned dating coach by sharing his sound advice with as many people as he can reach. His confidence-building techniques have bolstered the love lives of men and women of all walks of life. Throughout his career, he has empowered singles to take action in the dating scene and understand how to create strong emotional connections wherever they go. In addition to his many business ventures, speaking engagements, and partnerships, Hunt has also made time to write a book, which he said he’s one chapter away from finishing. He is also a regular contributor on DatingAdvice.com and has collaborated on self-help books with professionals in a variety of fields. Whether he’s recruiting date candidates for a matchmaker or inspiring confidence in a client, Hunt’s savvy interpersonal skills and networking ability have established him as one of the top male dating experts in the world.